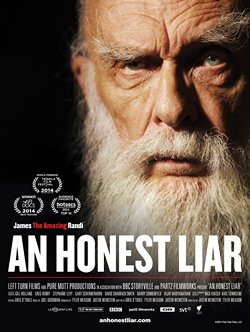 I expected a rather straight forward film about the life of James Randi, a famous american magician, and his fight against people who are in the field of purposefully deceiving crowds (usually for money) which is in itself an exciting topic. But it’s a much more personal movie than that and because of that it has several levels to the whole notion of deception. Who deceives whom and why is an important question to ask and this movie makes a compelling case for it.